Center Of The Universe, In Central Montana!! I am spending some much-needed quality time with my in-laws in Lewistown, Montana. My bride’s father, as you know if you have read everything I have written here, is in the final stages of alzheimer’s diease. His talking is now very difficult to understand. We have spent many hours with him since we arrived on Friday afternoon. Was it Friday? It’s so hard to keep track of the days here. I am in my happy place. Today we decided to give her dad a break. Some days just need to be a low-key, normal, sitting around with the residents kind of day. We have spent many hours with him in the past few days because we honestly don’t know if we will be able to see him again this side of Heaven. Both my wife and I had to decline being in weddings to make this trip happen, or we would have had to wait until sometime in spring. The snow winds are coming in Montana!! So, my wife, her mom and I decided, ‘Let’s go take a stroll down main street before the choke-cherry festival goers fill the entire street with vendors and people here for the festival.’ All hotel rooms have already been booked months in advance for this festival coming in on Saturday. 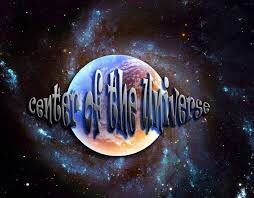 On our stroll along Main Street, or memory lane for my wife and her mom, we ran into a store called The Center Of The Universe. If you are looking for a store that has it all and it’s all things you won’t find anywhere else, this store is the store for you!! As I mentioned, I had to decline being a best man in a good friend’s wedding, he is like a brother to me, but this trip had to happen for a variety of reasons right now. And while we were in the store I found a steampunk dragon he would absolutely love!! But, I don’t have $60 I could spend on it right now. We fixed my mother-in-law’s new, yet used, car my parents drove out here with us. That took my travel expenses away for the time being. I was glad to get the car fixed for my mother-in-law, it needed to be done and she is graciously paying us back. So, it was my pleasure to do it. But, back to my story. If you find yourself in Lewistown, Montana, and seriously, I have no clue why everyone in the world wouldn’t want to come see this town, you need to see The Center Of The Universe. Turns out, the center of the universe is right here in Lewistown, Montana!! This town also has a bar with a river, (editor’s note: it is a CREEK, not a RIVER as explained by my wife and most-in-law) running through it and a high school that was converted into townhouses!! But, I’ll have to save those two stories for another time.